If this question is being ask to you : " How great is the Lord?" , what would be your response? Having a blessing of good health right now is a sum total that the Lord is really great. He who gives me wisdom and heart to understand the people that surrounds me in great humility is already a blessing that justify His greatness. Others may want to contradict my response, we can't please everybody anyway. I may not find words to elaborate more deeper how I feel this way but, i know in my heart that God is great. The very sure thing is that the Lord is really great for having me as who I am today at the moment. Anyway, I am just inspired to say these things because of these wonderful art collections that I found in greatistheLord.net. 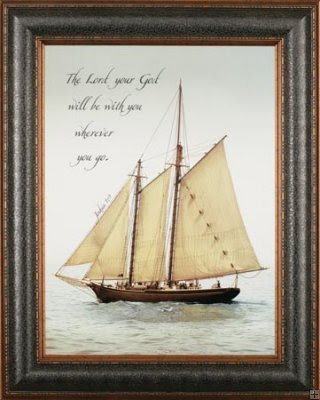 This is a Christian Store that sells Lithographic Arts, wall decor, home decor, kids decor, musical inspirations, personal accents, Unique Christian Gifts and many more religious stuffs. Visit the site today and see their wonderful products.